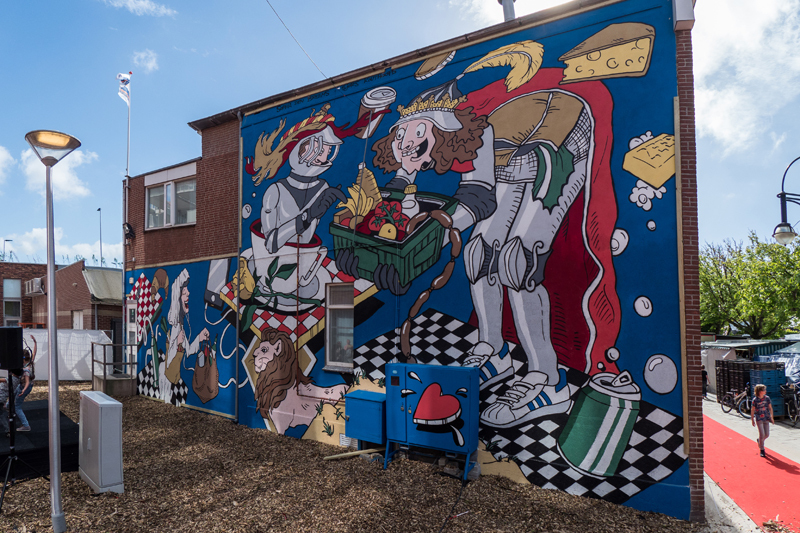 The Hague Street Art asked me to make a mural in 's Gravenzande. 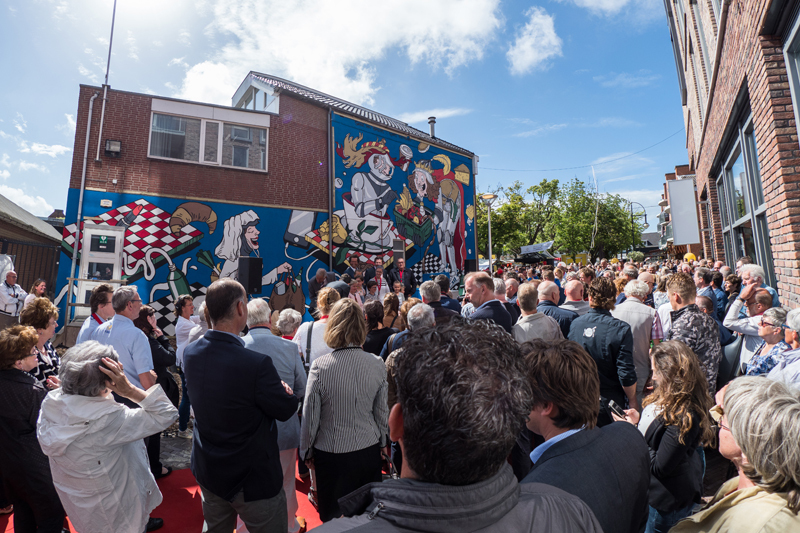 to celebrate the opening of a brand new shopping mall called 'Hart van 's Gravenzande'! Based on the old history of 's Gravenzande (from left to right: Machteld van de Brabant, Floris IV and Willem II) combined with modern life, I created this design. 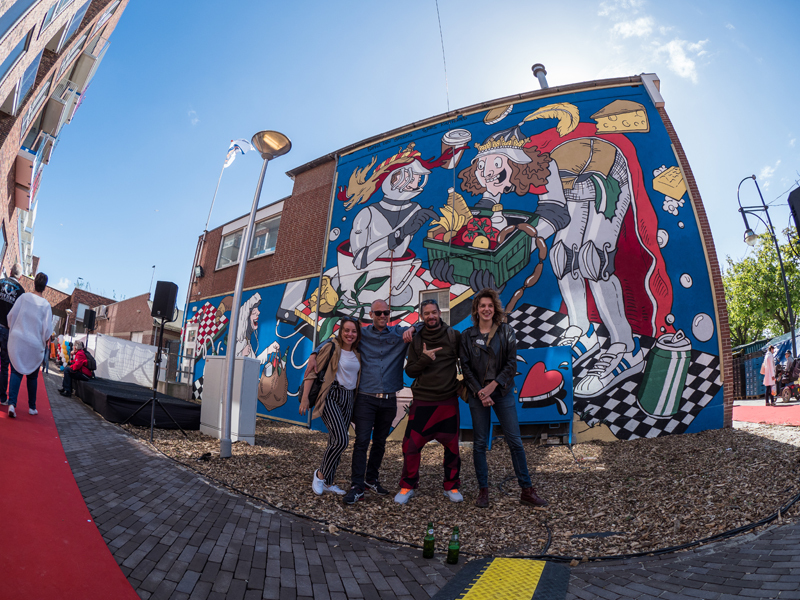 Together with Sjors Kouthoofd we painted this design on top of this huge wall!